One of the side effects of Transaero's bankruptcy was the demise of its Amur Tiger Boeing 747. 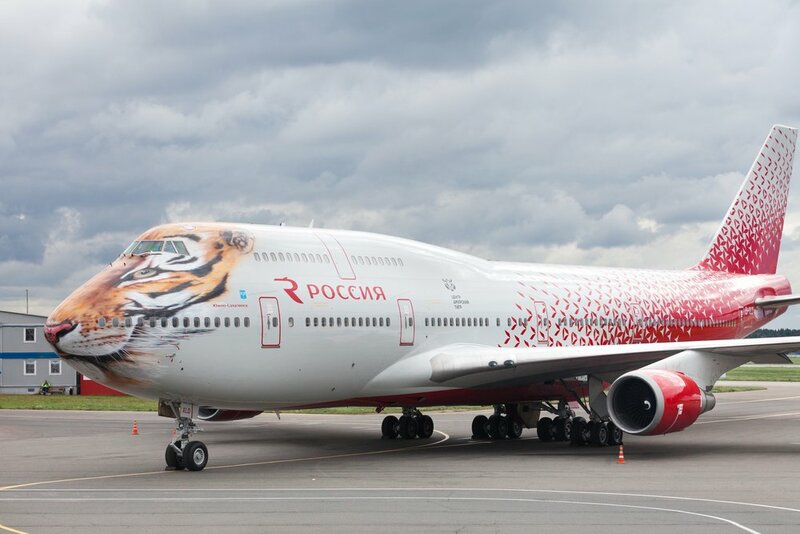 That amazing piece of airline livery artwork, that aimed to highlight the Russian airline's commitment to the preservation of this endangered species of Siberian tiger, ended up, like most of Transaero's fleet, at a storage airport in Spain. So, good news for planespotters all over the place! The Tiger Jumbo is back! In all its former glory!